Learning and artistic projects are fun. Delightful adventures await. Reward for cleaning my room, creating a domain of my own. Do you have a zest for living? Are high in openness to new ideas and experiences? Have a creative, happy, long term perspective? Do you wrestle with a lack of focus and trouble balancing goals? Need help breaking out of your current mindset? If yes, let’s help each other define our focus, bring our lives into balance, learn new things together and grow as individuals. Clubs we have, yes. Join, you may. Fellowship for lifelong and self directed learners. Lifelong learners meeting together for their self directed studies, homework or wander libraries in search of something new to discover. Fellowship of artistic procrastinators to gather and work on our separate projects together. Fellowship of artistic procrastinators meeting together to work and encourage each other on their projects. Inspired by NANOWRIMO, my friends and the Inklings. One person’s clutter is another’s treasure. Barter trade and/or gift what you don’t need to others. 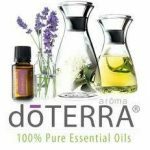 Or buy your essential oils or knicknacks treasures on my OpenBazaar store. How to join the Club(s): Simple, send me a text or e-mail and I’ll invite you to the Slack Rabbit Room online community! It’s that easy. Play nice and we’ll have have fun.